All events will be heat declared winners with all age groups swimming together based on seeded times. Awards will be made to the top 6 in each age group & all swimmers will receive a certificate. There is a spectator* entrance fee of £3 payable on the evening - this along with swimmers entry fees are to cover costs of pool hire and awards. All officials and organisers give up their time on a voluntary basis. Who can enter Club Championships? Any paid up, first claim member of Alton and District Swimming Club can enter these championships. You must have paid all your club fees and be eligible to swim for the club at galas. We run separate events for swimmers in the learner pool but you can still enter these main pool championships if you wish. Swimmers in Jun County/Sharks/TS Trans & Top Squad are not allowed to enter the 25m events. The championships are for ALL members, whether you normally swim at Alton, Petersfield or Bordon you are all members of Alton & District Swimming Club. The championships are normally held at Alton Sports Centre. The club championships are organized and run by parents, senior swimmers and other volunteers. Apart from the Sports Centre Lifeguards, everyone gives up their time free of charge to run these events. It is therefore essential that you offer to help (using the entry forms) as often as you can. The events will not take place without sufficient help. You do not need any experience!!! Jobs range from selling raffle tickets, looking after children, and making drinks to refereeing and judging the event. As you gain experience you may be asked to take on the more technical jobs, with training and support but there are plenty of jobs for which no swimming knowledge is required. Our volunteer coordinator will contact you to discuss how you can help. What are ASA Law and Technical Rules? Why was I disqualified? Swimming’s governing body the ASA produce a set of rules to govern all competitions. As an affiliated club we must follow these rules in our championships. The rules can be found on the ASA website www.swimming.org or from the club’s coaches and officials. At any competition, including club championships, the referee in consultation with the judges and starter are responsible for ensuring that there is no infringement of the rules. Swimmers whose start, stroke, turns or finish do not comply with the rules will be disqualified. We will do our best to speak to all swimmers who are disqualified and explain the reasons. Please speak to your teacher/coach before entering the breaststroke or butterfly events to make sure that your stroke complies with the ASA rules. Why are their different ages? How old am I? For club championships and many other swimming competitions your age is taken from the last day of the competition. Most of our championships are run with 2 year age bands giving all swimmers a ‘good’ and ‘bad’ year age wise. It is very important to enter even if you are in the lower age as your times will be used for team selection. The 25m events are aimed at the more novice swimmers and run in 1 year age bands. If I win my heat will I be in the final? Do I win a medal? Our Championships are run as Heat Declared Winners. The heats are swum according to previously recorded personal best times, irrespective of age. This gives all swimmers the chance to race against others of a similar speed which should push them to produce their best times. Awards are made to the fastest 6 swimmers in each age category. You should bring well fitting swimwear, hat and goggles that won’t fall off when you dive in. It is good practice to always carry a spare hat and goggles in case of breakages. You will also need a T shirt (club shirt if you have one) for photos. It is also advisable to bring a drink in a plastic sports bottle, nutritious snacks, tracksuit trousers and clean poolside shoes to all competitions. Can all my family come and watch? Unfortunately no. Health and safety restrictions mean that we are only allowed 100 spectators on the balcony. 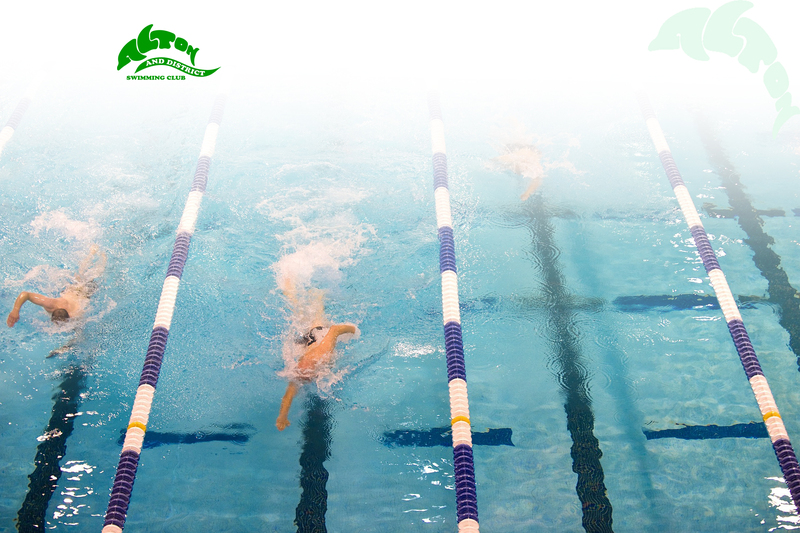 We therefore ask that you only bring 1 spectator per family to ensure that all the swimmers can have a supporter. This is particularly important for the 25m championships when entries could be very high. We still cannot guarantee that everyone will be able to watch. Another good reason to volunteer to help. What time will the event finish? We will aim to run the evenings as efficiently as possible and like to finish by about 9 o’clock. The finish time, however, will be determined by the number of entries. We do not want to reject any entries so some of the evenings could finish somewhat later. Swimmers may leave once they have finished their events and presentations but if you are helping please do not leave before the end without ensuring that your job is adequately covered. We ask you to be patient. If you think you can run things more efficiently, we will look forward to welcoming you to the organizing team for next year!! Results including your times should be on the club website www.altonswimmingclub.com a few days after the event. Make a note of you times and try to improve them next time.